Orin paints from a love of color. His works refer to landscape, life forms, geometry, and forces of nature and the universe, but they exist in a dimension where colors are characters playing out their own dramas on the stage of modern traditions of painting. Orin’s art practice includes painting, algorithmic computer art, video art, photography and music (see orinbuck.com). The exhibition represents his output in the last year since he found a productive method for working on many small canvases simultaneously. The format also makes his work more accessiblethe small paintings are affordable and easier to find room for. 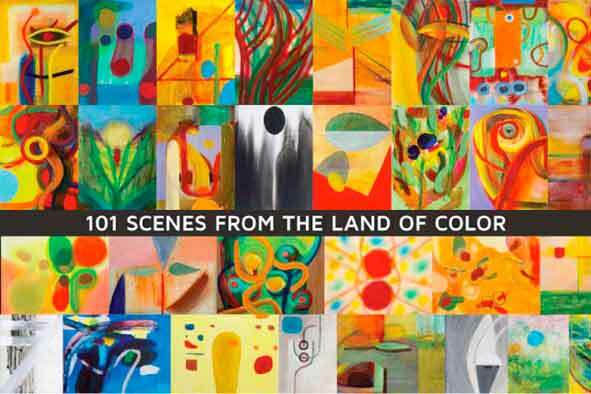 Please come and enjoy 101 paintings from Orin’s Land of Color.